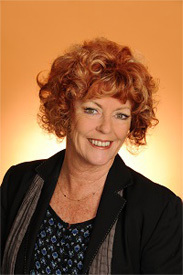 Gael Chudleigh, Contestant Welfare Officer –Gael has been involved in the pageantry business since 1988, having been involved in 51 National Finals and 32 World Finals held across various countries, as a delegate coordinator, event coordinator and Stage Manager for our Australian Office. Gael's first project with ERM was in 1993, she was appointed as the delegate coordinator for Manhunt International World Final in Australia. Then again in 1996, she was appointed as the delegate coordinator for Queen of Clubs Girl held in Singapore. Gael was also involved in the International Model of the Year 2005 held in Busan, Korea. Since then, She has been ERM’s contestant welfare officer for pageants organized in China. Gael's career has had her involved in many international shows and entertainers concerts. Gael eventually started her own company -Gaelle Chudleigh Special Events; they focus on events for businesses and shows in the Oceania region. With Gael’s outgoing personality, she took on the role as a "pageant mum", attending to the welfare needs for all our contestants at large. 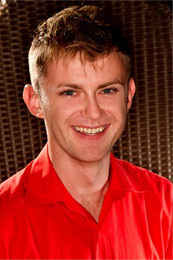 Daniel Cunningham, Artistic Director, Daniel lives in multicultural tropics of Darwin, Australia. Since his graduation from the prestigious Victorian College of the Arts with a Bachelor of Dramatic Art in 2004, Daniel had choreographed numerous Modeling Competitions including Miss Bikini International, Miss Global Beauty Queen, Miss International Beauty, Australian Swimwear Model of the Year, Miss Indy, Best Model and Manhunt Australia. He has also produced shows for Miss Bikini World Australia, Australian National Body Building and was the Choreographer for the opening ceremony of the Arafura Games. He is a resident choreographer at Discovery Entertainment Complex and also manages his own dance company, Paparazzi. Daniel's work was also the highlight the Darwin Arts Festival 2013, one of the country's most celebrated and unique arts celebrations. Jerome Too, Vice President - Licensing & Events – Jerome started working as a personal trainer fresh from his six years stint with the Singapore Armed Forces in 1983 as a commando specialist. He joined Metromedia in 1988, organizing beauty pageants and special events. Events organized by him in Singapore includes, Miss Tourism Singapore, Manhunt Singapore, Miss Singapore Chinatown, Miss Singapore World, Miss Singapore Tourism Queen International, Best Model of Singapore, Miss Singapore Pageant, International Model of the Year and many other contests. He was also involved with various exhibitions and events, coordinating major exhibitions as well as serving niche clients with their accounts. Other projects with his involvement includes The Fashion Connection Singapore 1995, Princess Tenko - Illusion Show 1995 and Face of the Universe 2006 and Fashion Asia Awards 2010. Jerome now oversees the licensing department; taking charge of international pageants and modeling events such as Miss Tourism Queen International Beauty Pageant, Miss Global Beauty Queen Beauty Pageant, Miss Friendship International Beauty Pageant, Miss Bikini International, Miss All Nations Beauty Pageant, Miss Resort Queen International, Miss Queen International Pageant, Miss International Beauty and the International Model of the Year Model Contest. Sean holds an honors degree in business administration. Since 1994, He has coordinated concerts, family entertainment shows and special events in Malaysia such as Frank Harary Magic Show, Mr. Big in Concert, Holiday Circus on Ice, Aaron Kwok "Live" in Concert, Cliff Richard in Concert, Walt Disney on Ice, Best of Grasshoppers in Concert, Jacky Cheng in Concert, Mighty Morphins Power Rangers, Heineken 5 Star Challenge, Launching of Swatch Beat Party, Launching of L'oreal Virtual Rouge, Nuyou Magazine Revamp Party. Other sporting events include the launching of Shah Alam Stadium in Malaysia, Malaysia 500cc Grand Prix, Salem ATP Open and Asia Pacific Sport Exposition (ASPO) Launch of Sports Recreation Year Malaysia. In 1996, he joined ERM's Malaysia Associate office, specializing in Pageantry, he organized pageants such as Miss Malaysia Chinatown Pageant, Manhunt Malaysia, Malaysia Best Model Awards, Miss Malaysia Petite, Malaysia Male Look of the year, Malaysia Queen of Clubs and Miss Tourism International. In addition, he took charge of planning, budgeting, advertising, marketing, implementation & coordination events like Anchor Challenge, Heineken’s Angel Promotion, Guinness "Got it" Ambassadress, Guinness "Got 8, Got Luck" Promotion, Guinness Smasher Promotion and Anchor Ice "Rave Zone" Promotion. In 1999, Sean joined Exclusive Resources Marketing Pte Ltd’s (HQ-Singapore) international pageants department. Since then, he coordinated and organized pageants like Manhunt International, Miss Friendship of the World - Vietnam, Mister International - India, Miss World University - Korea, Miss Tourism International - Malaysia and Miss Island of the World - Jeju, Korea. In 2002, he returned to Malaysia to set up ERM Marketing Sdn. Bhd, another business arm of Exclusive Resources Marketing Pte Ltd, overlooking business and pageants organized in Malaysia. Sean also assisted ERM’s president, Alex Liu, in the development of ERM within China’s market, with involvement in organizing international pageants such as Miss Tourism Queen International, Miss Global Beauty Queen, Miss Model of the World, Manhunt International, Miss Bikini International, Miss International Beauty and Miss Friendship International. Out of China, the duo also managed and organized pageants like International Model of the Year & Manhunt International in Korea and Face of the Universe in Ghana. He is also a qualified international pageant judge. He is currently the director of ERM Marketing Sdn. Bhd. which is the Malaysia subsidiary of Exclusive Resources Marketing Pte. Ltd.
Angela Tay, Director, Managing Director – Singapore – Since the young age of 17, Angela have been actively involved in various pageant held across Singapore. With a strong determination to clinch the long awaited title, her dreams came true. She was crowned Miss Singapore Globe 1991. Not marking a stop to her pageantry journey, Angela continued her participation in pageants throughout the years, earning numerous titles under her belt. She was crowned, Miss Union (NTUC) and Miss Singapore Tourism Queen in 1993, and Mrs Singapore Globe in 2003. In 2012, she decided to embark on another fulfilling journey while following her passion, by starting ERM Singapore Marketing Pte Ltd under the guidance of Mr Alex Liu. She started a restructure of ERM’s Singapore office, introducing new ideas for exploration. Since then, she had organized events such as Miss Singapore Chinatown 2012, Little Cinderella & Little Manhunt Singapore 2013, Mrs Singapore & Classic Mrs Singapore 2013, Miss Singapore Beauty Pageant 2013, Singapore Chinatown Pageant 2013. Besides overlooking ERM’s pageantry business in Singapore, she too works alongside Mr Alex Liu in the coordination for various international pageants. 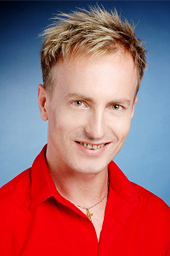 Rafal Sojka, Artistic Director – Rafal is the artistic visualizer and choreographer of our dynamic team. Originated from Poland, a graduate from the Olga Slawska Lipczynska Institute for Higher Education, Poznan, Poland with a degree in Performing Arts (Dance Emphasis). He speaks Polish, English, Russian and French. He performs, teaches and choreographs many events. He is a qualified judge of many talent and dance competitions. They include Cabaret Shows - Harley Davidson Jubilee, Billabong Beach Party featuring The Untouchables, Emelda Paulo, Melissa Sidek, Gani & Aslinda. Fashion Shows - Moschino, Christian Lacroix, Anna Molinari, Assemblage, Gianni Versace, Mickey & Co., Adrienne Vittadini, Burbury's MCM, Marinique, Timberland, Polo Ralph Lauren. Fragrances Launches - Laura Biagiotti, Hugo Boss, Jean Paul Gaultier (JPG). Special Events - Octoberfest, French Night, Ning Baizura, St. Patrick's Day Celebration, Elite Model Look Presentation for Linda Evangelista, Moonstruck Full Moon Celebration, Action For Aids (AFA), Primefield Computer, Provocative Hair Show. Movie & Theatre - Les Miserables, Phantom of the Opera, Evita, Batman and Robin, Swingers. Pageant choreographer for Mrs. Singapore Pageant 1998 to 2010, Manhunt Singapore 1998 to 2007, Miss Singapore Chinatown Pageant 1998 & 2008, Miss Singapore Universe 1999, Miss India Singapore 1998, The Singapore Model Awards 1999 - 2009, Miss India Worldwide 1998, Mr. India 1999 - 2005, Mr. International 1999-2003, Miss Friendship of the World 1999 - Vietnam, Miss Tourism Queen International 2004 - 2010 and Miss Model of the World - 2004 to 2010.